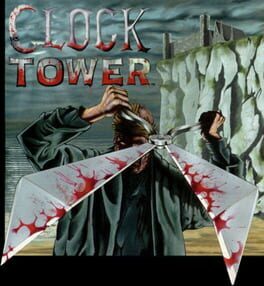 Clock Tower, known as Clock Tower 2 in Japan, is a PlayStation point-and-click survival horror game and a sequel to Clock Tower: The First Fear. One year after the events of Clock Tower: The First Fear, in late 1996, Jennifer Simpson has been adopted by Helen Maxwell, the assistant of a renowned psychiatrist, Samuel Barton, and is currently undergoing treatment at a university research building in Oslo, Norway, to help her cope with her traumatic experiences in the Clock Tower case and possibly shed some light on the mystery that was the Scissorman. 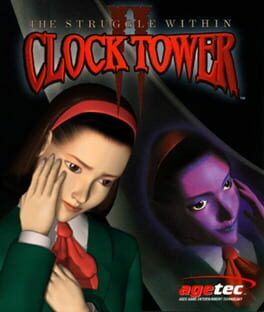 Clock Tower II: The Struggle Within, known as Clock Tower: Ghost Head in Japan, is a PlayStation point-and-click survival horror game and the third installment in the Clock Tower series. It was developed and published by Human Entertainment on March 12, 1998 in Japan and later published by Agetec on October 31, 1999 in North America. It was released as a PlayStation Classic on the Japanese PlayStation Network for PlayStation 3 on May 9, 2012. The game is a spin-off story with little to no connection to the story of the Barrows/Burroughs family or Scissorman, nor was Hifumi Kono involved with it. It does not take place in Europe as many of the others do; it takes place in Osaka, Japan. In the North American version, the setting was changed to Salinas, California, and the characters were given Westernized names. However, untranslated Japanese can be seen in the hospital entrance and even in the intro, there are Japanese-styled buildings, including a Shinto shrine. The game also contains various Japanese-styled rooms and samurai armor.